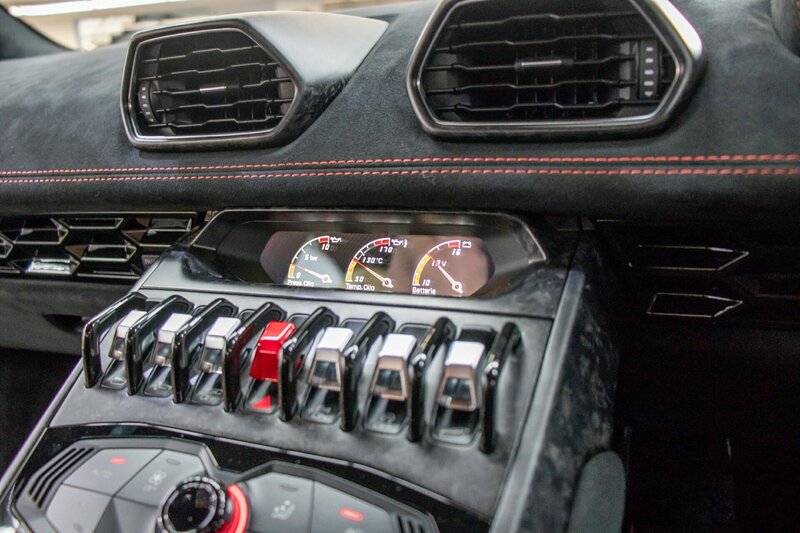 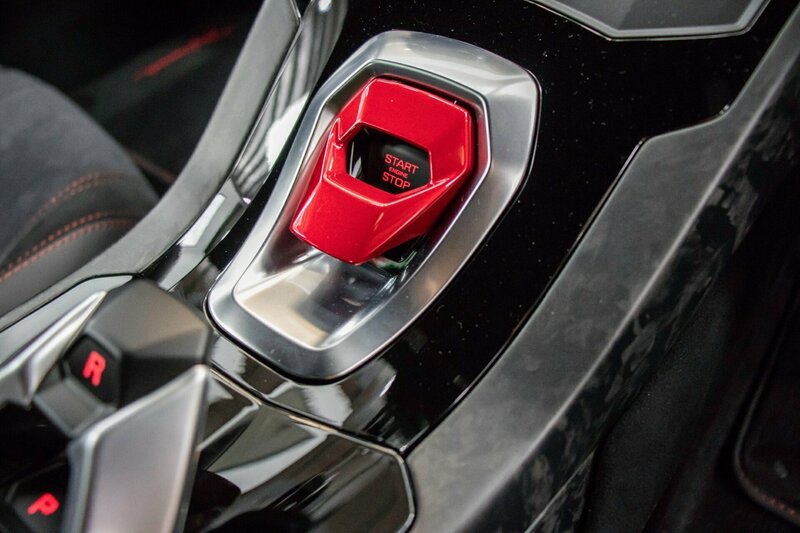 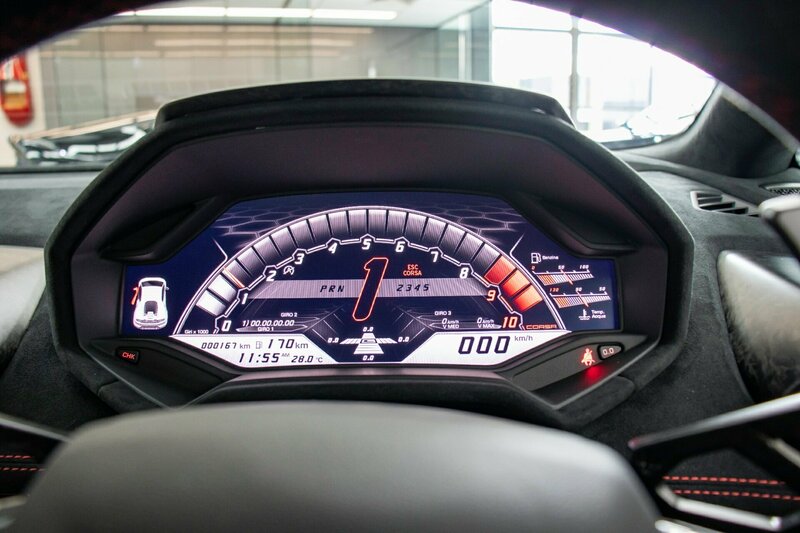 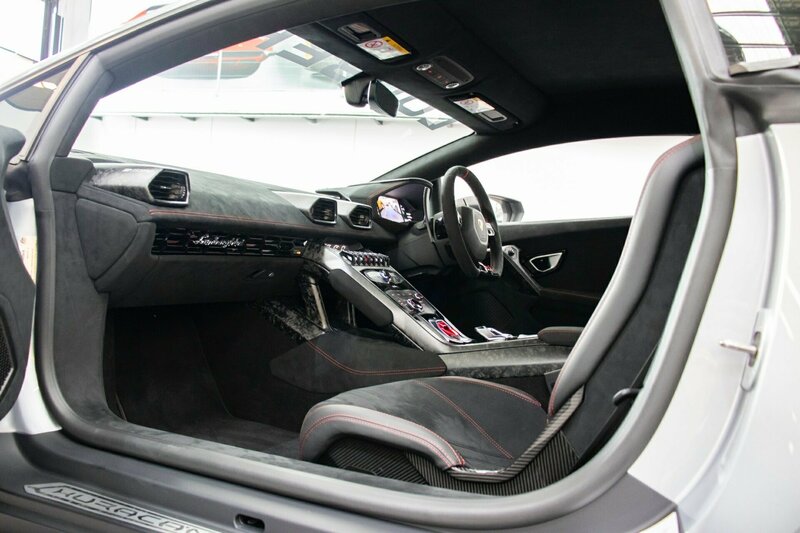 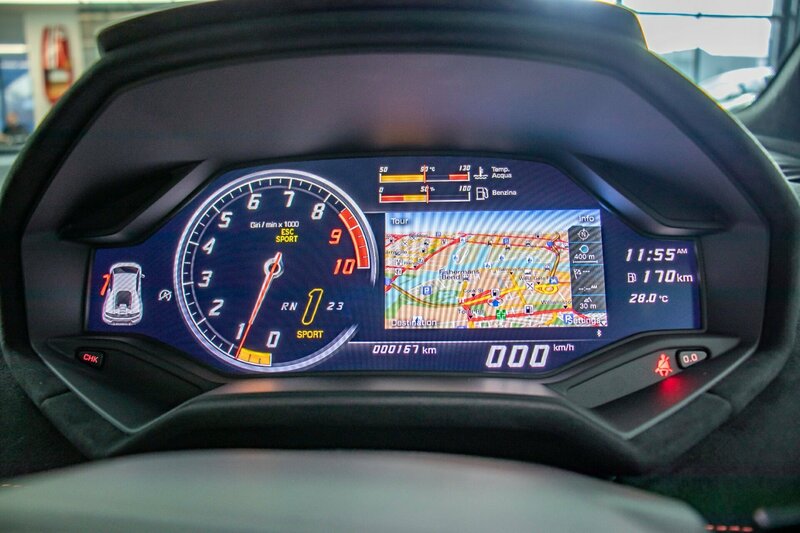 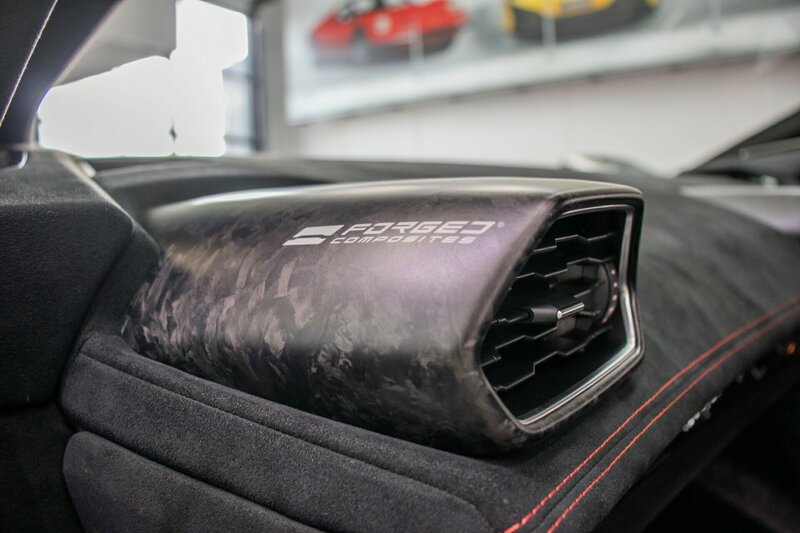 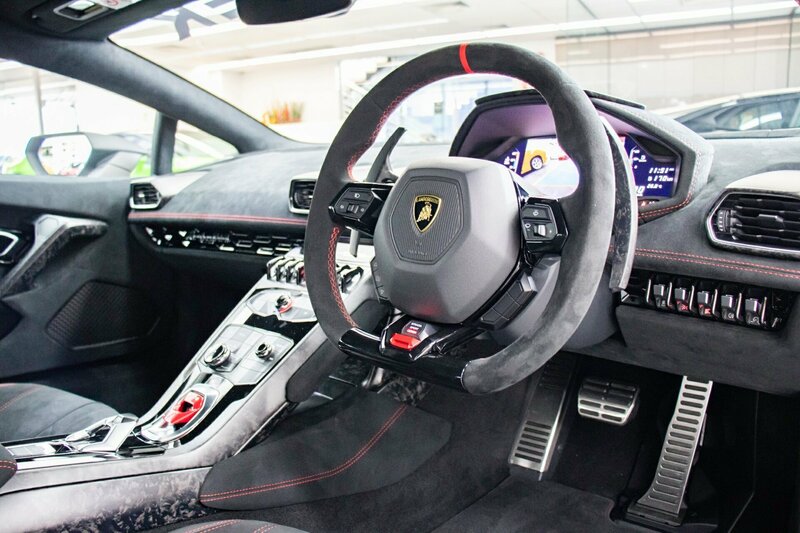 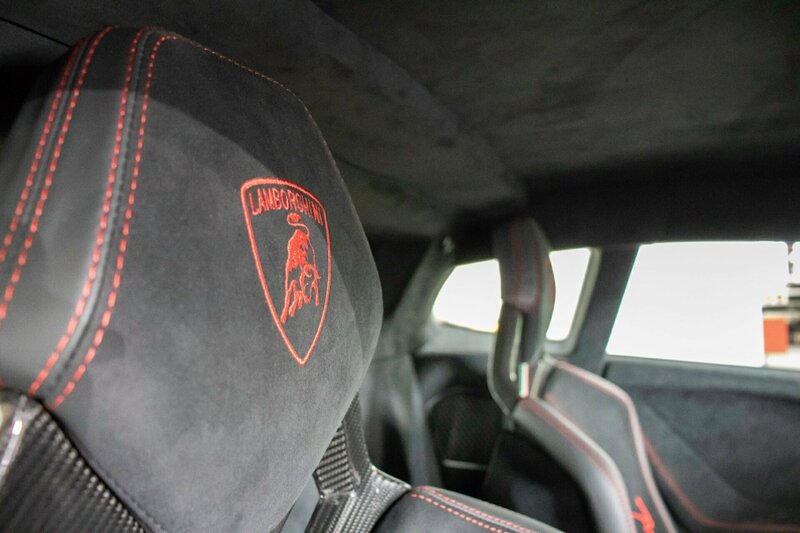 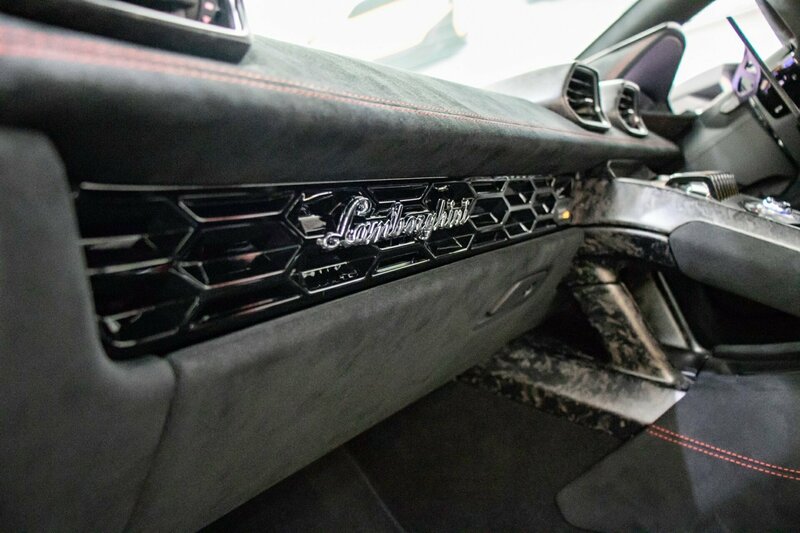 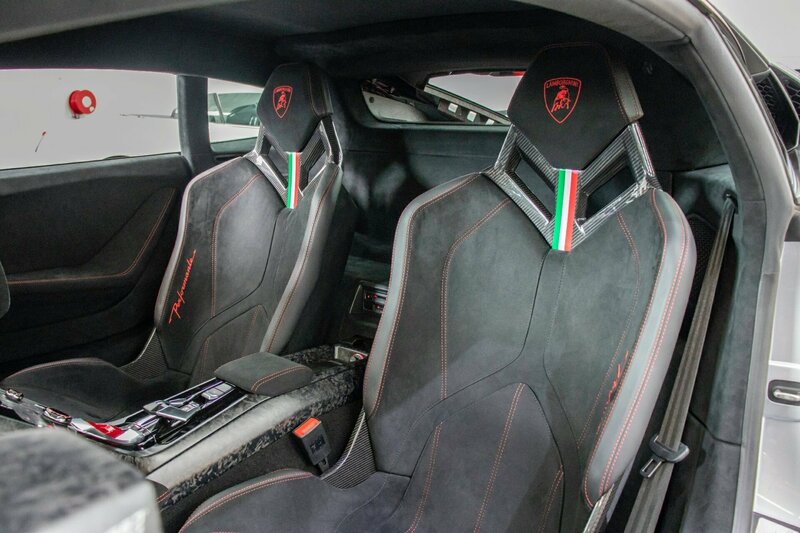 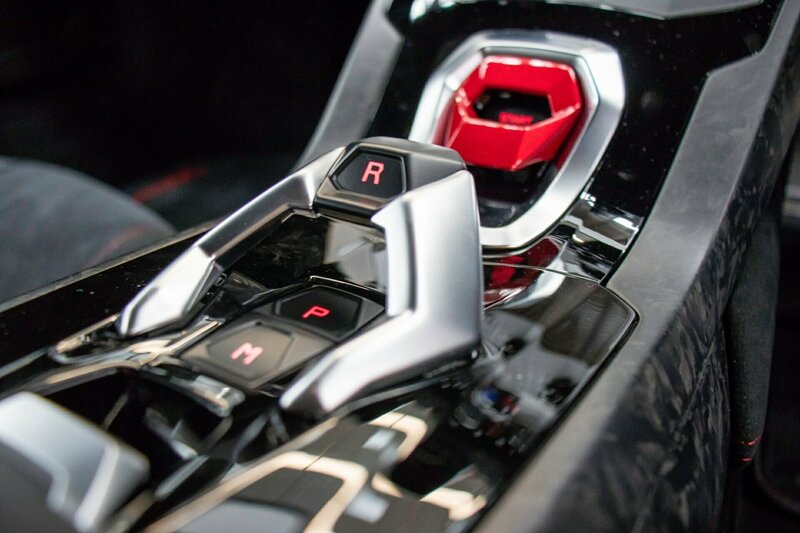 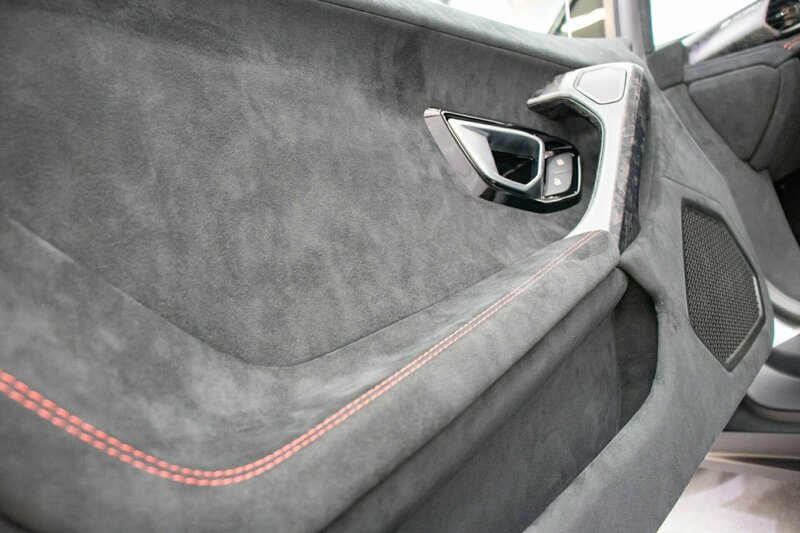 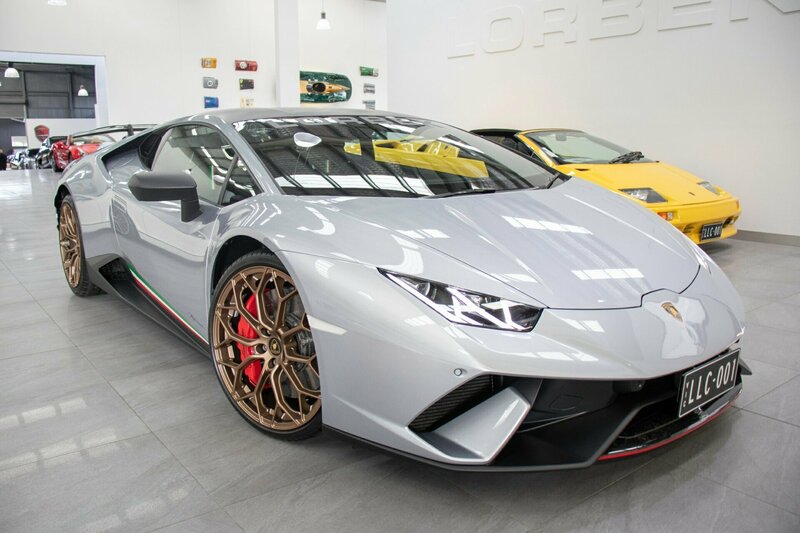 LAMBORGHINI HURACAN PERFORMANTE 2018 IN BRAND NEW CONDITION WITH TENS OF THOUSANDS OF DOLLARS IN DESIRABLE FACTORY OPTIONS AND EXTRAS. 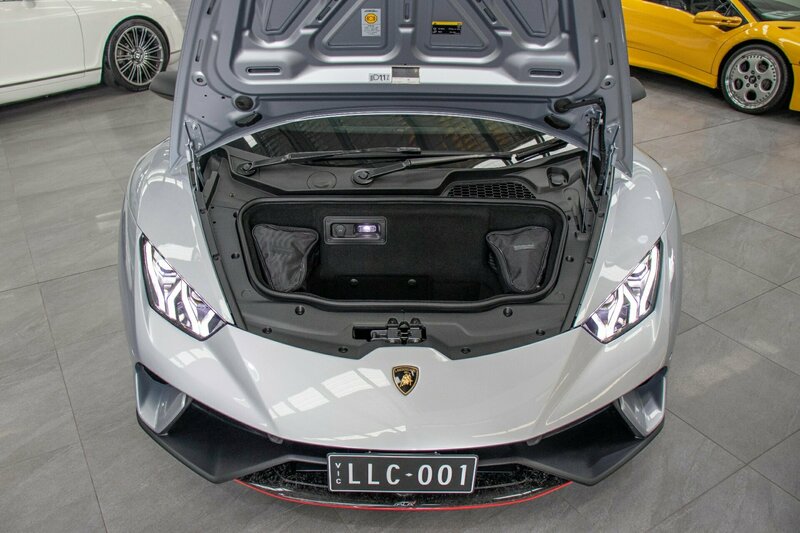 Travelled ONLY 424KMS FROM NEW and still in as brand new car condition. 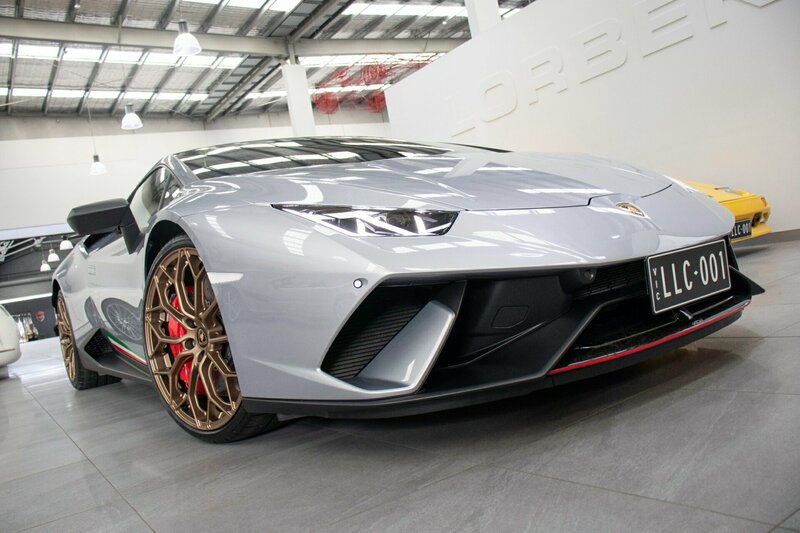 Finished in stunning striking Grigio Nimbus Metallic with CARBON FORGE COMPOSITE GLOSS EXTERIOR TRIMS, FULL PERFORMANTE LIVERY, ALA AERODYNAMICS PACK and soft ash black alcantara Perfomante interior and full contrast stitching throughout with CARBON FORGE COMPOSITE INTERIOR TRIMS the added fitment of GOLD MIMAS STYLE alloy wheels, red exterior accents, Italian flag side livery, specific options include; LIFT KIT, reverse camera with panoramic parking distance control (a most expensive but needed option), racing red painted Lamborghini branded callipers, transparent engine bay cover with fully carbon forged engine bay, full style pack which includes gloss black exterior highlights - so many expensive optional extras, far too many to mention! 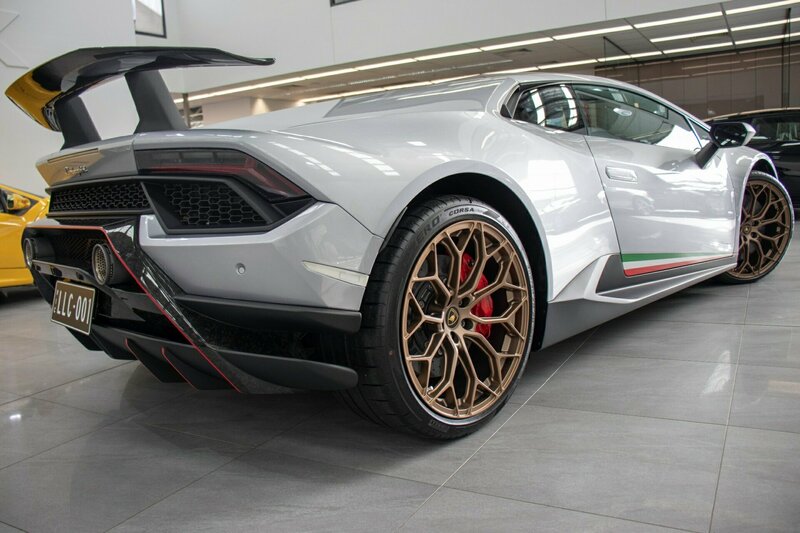 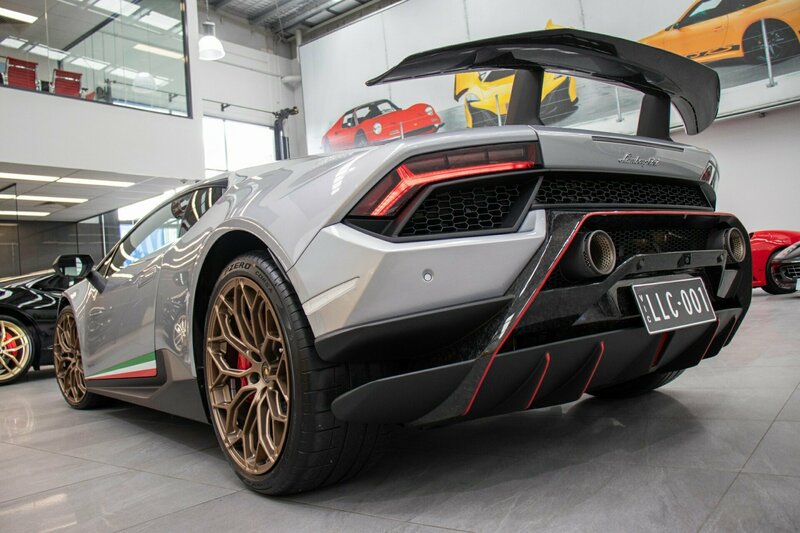 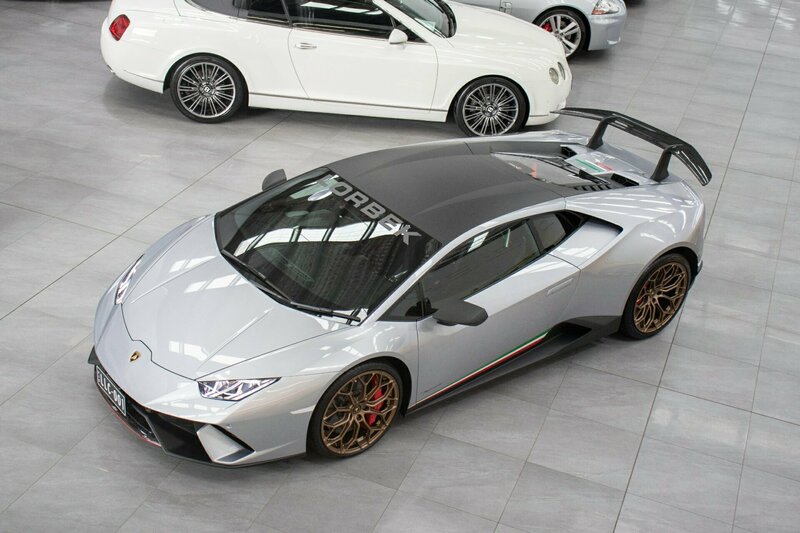 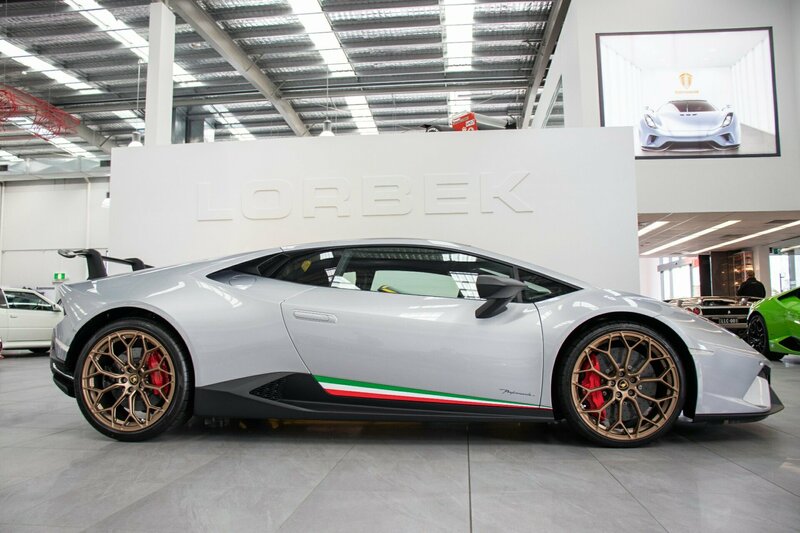 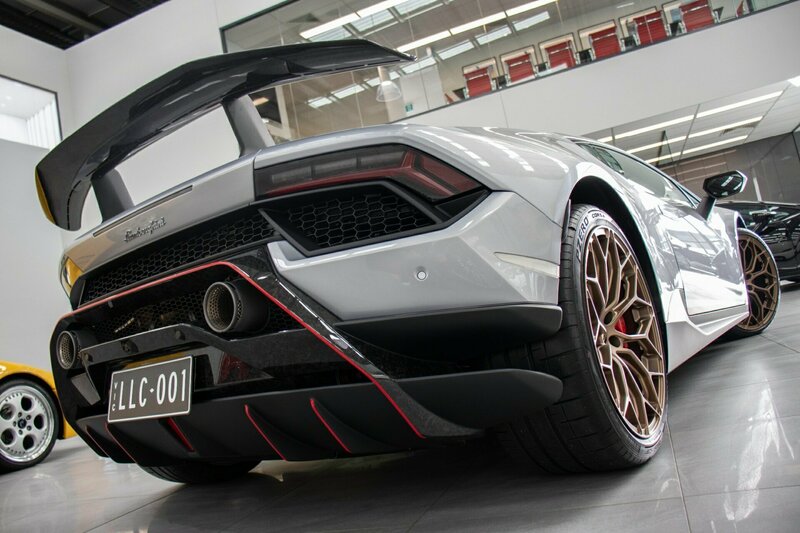 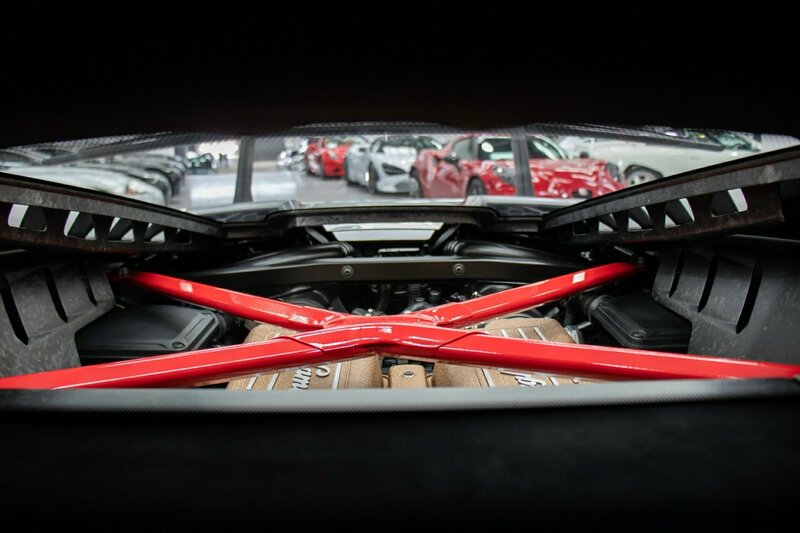 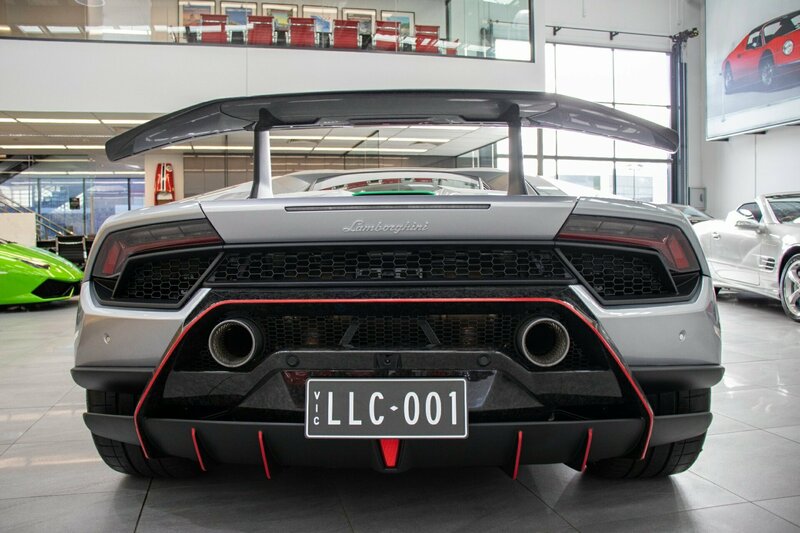 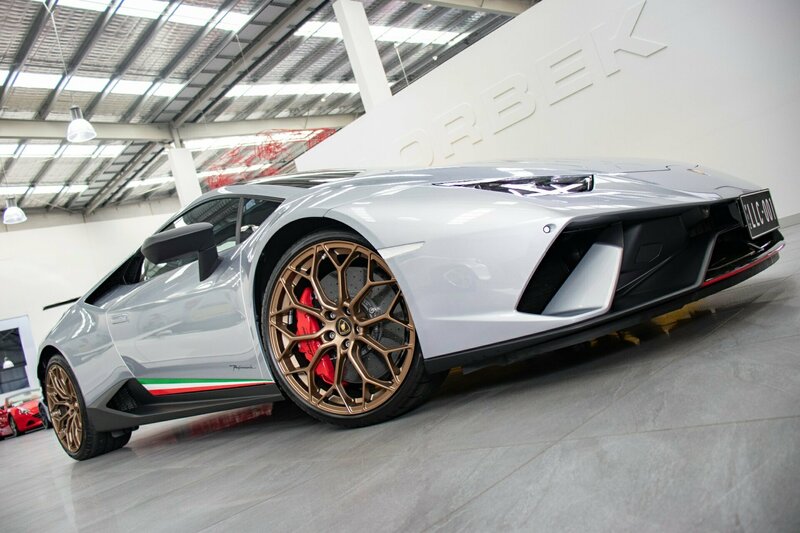 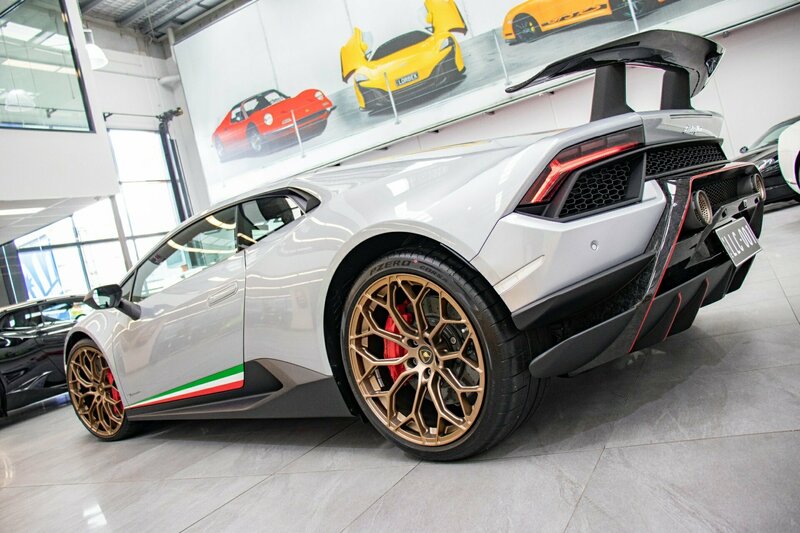 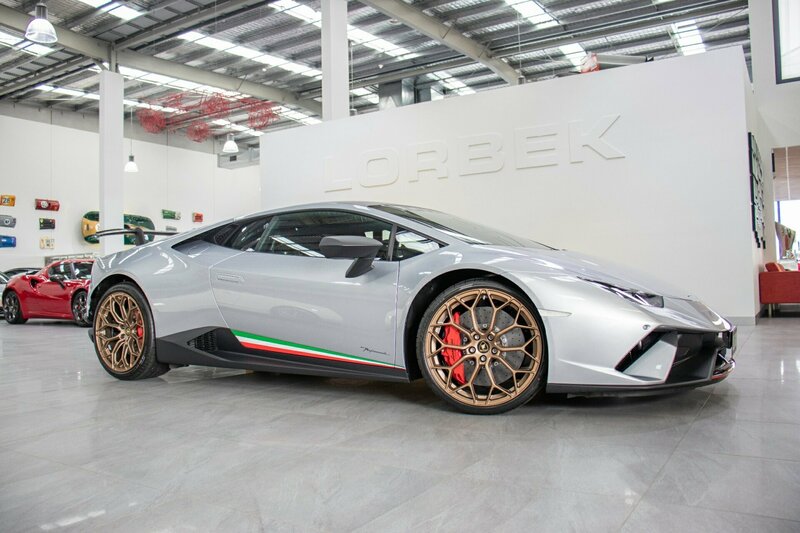 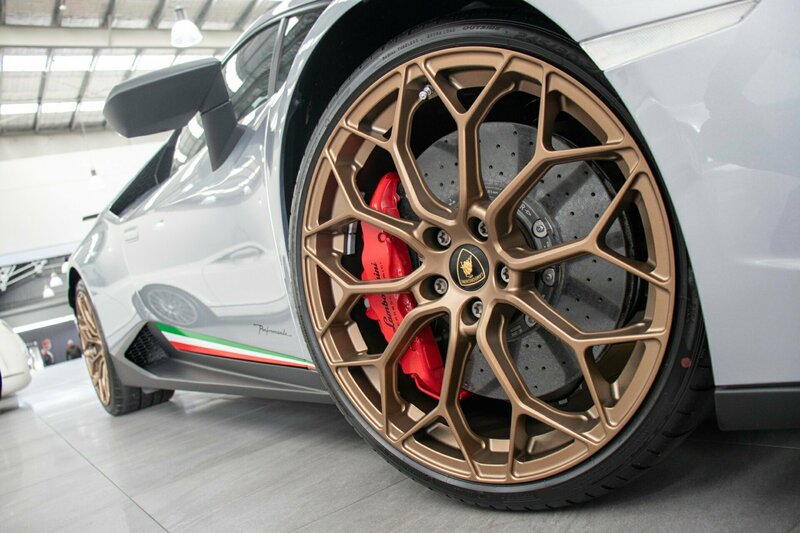 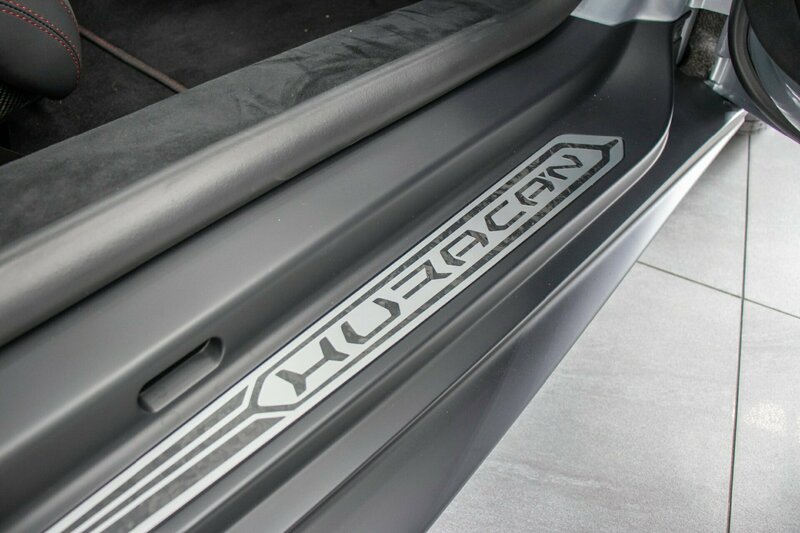 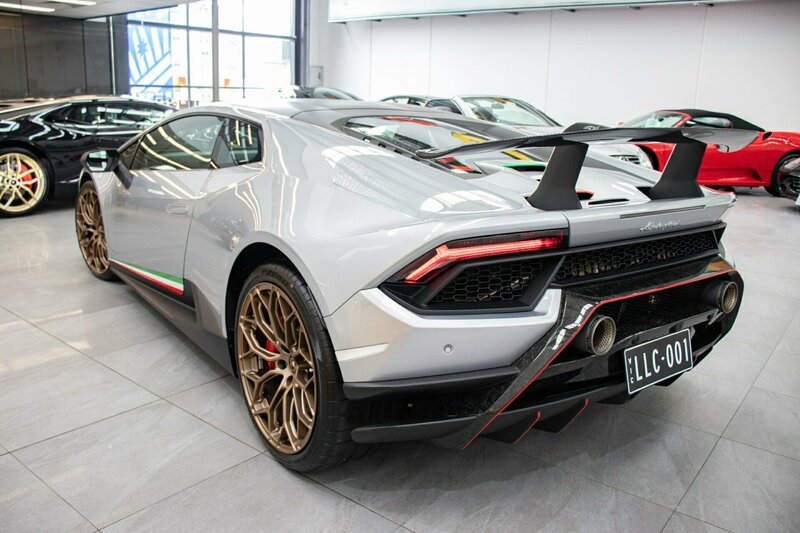 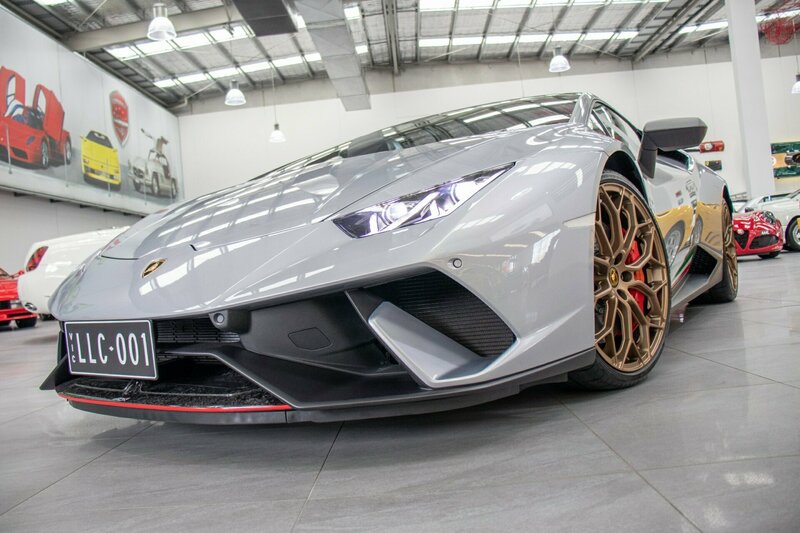 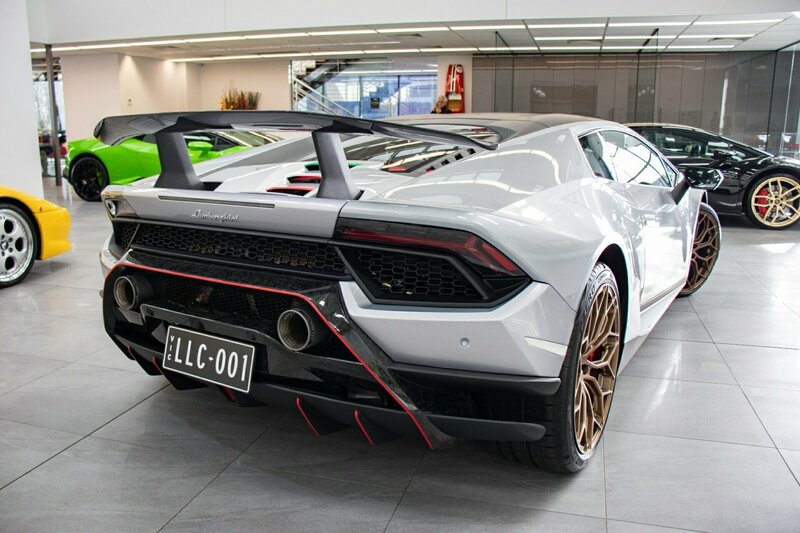 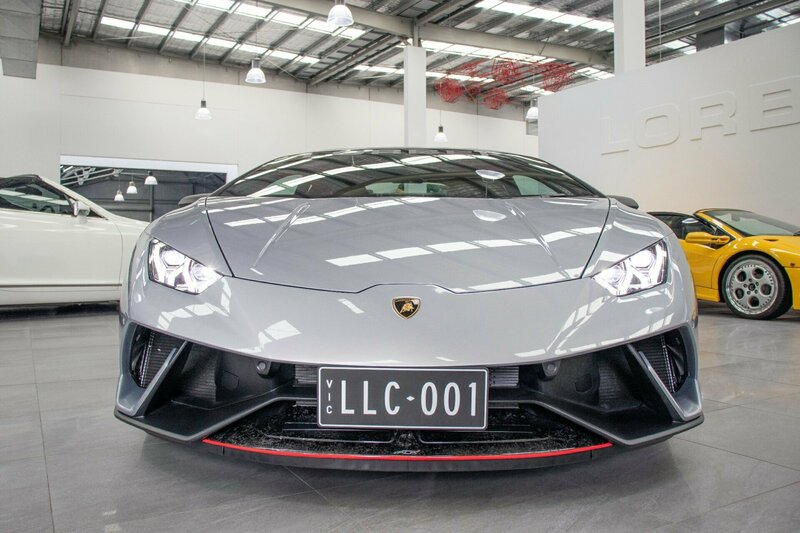 This awesome amazing TOP OF THE RANGE AS NEW 2018 HURACAN PERFORMANTE IS READY FOR IMMEDIATE DELIVERY, traffic stopping latest Italian supercar is absolutely unmarked, unblemished and literally still in as brand new car condition. 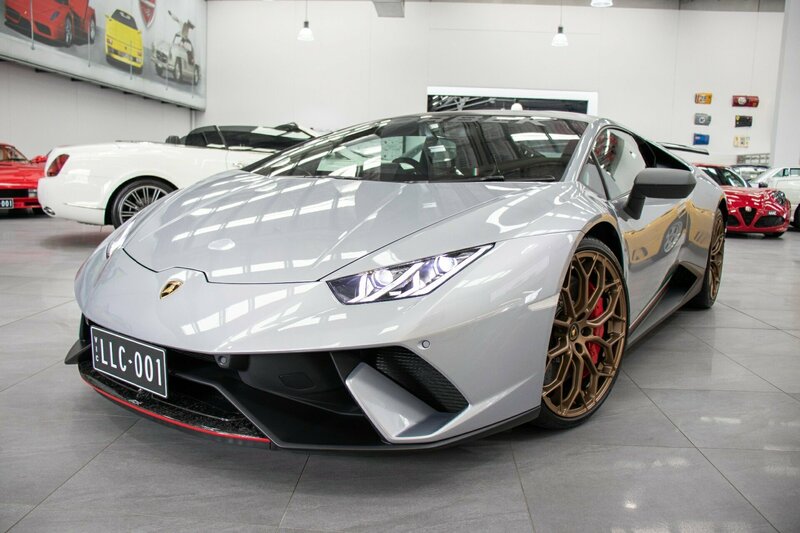 Suit most astute brand new car buyer who doesn't want to wait and pay more!!! 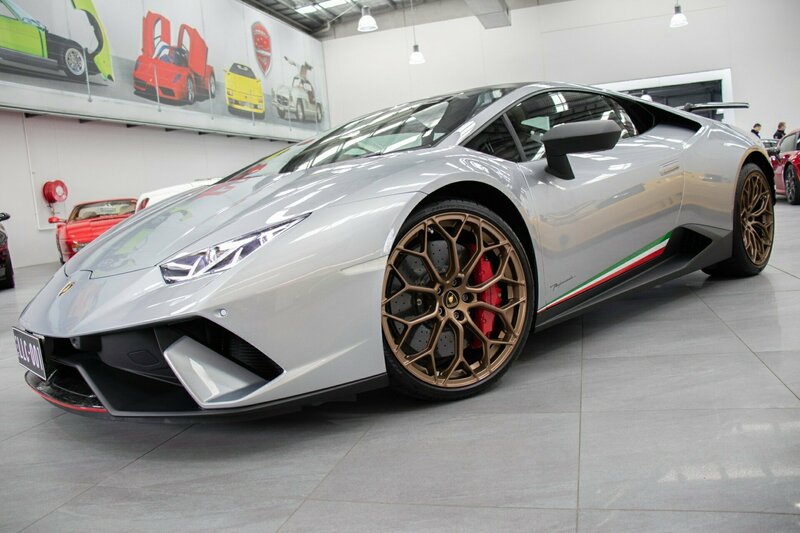 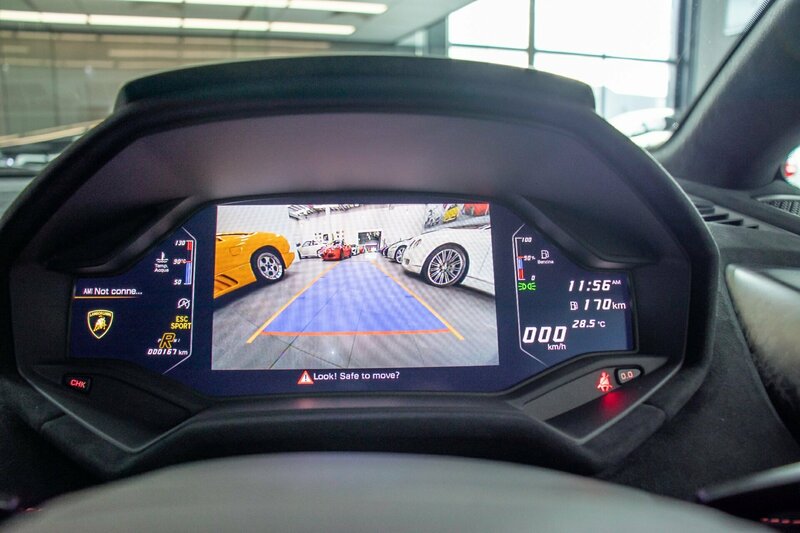 First to see and drive will buy this as brand new Lamborghini Huracan Performante WITH ALL THE MOST EXPENSIVE AND DESIRABLE OPTIONS will buy on the spot for ONLY $548,990.